1. Norukkal at Salem Thattuvadai Settu Kadai. Smashed murukku mixed with chutney, groundnuts, coconut and gunpowder. 2. 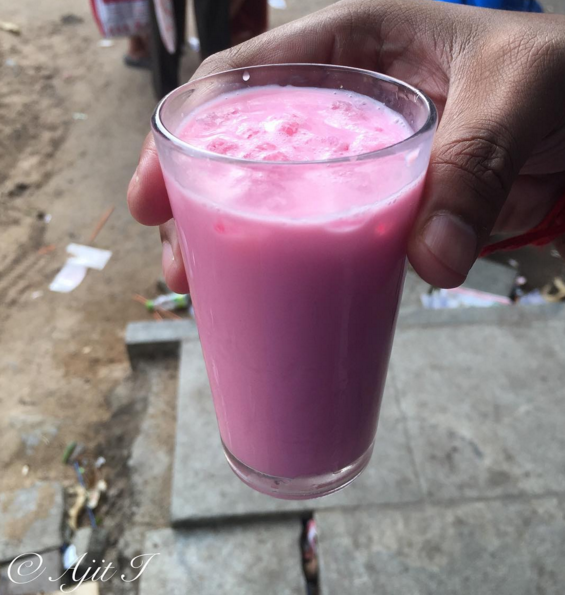 Chilled rose milk from Kalathy Cool Drinks Stall in Mylapore. 3. 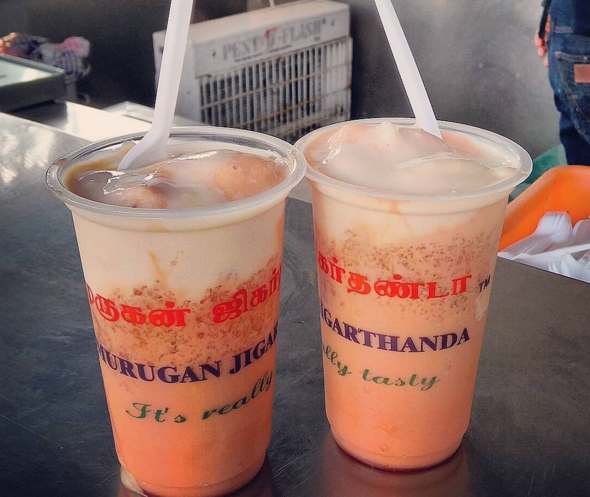 Murugan jigarthanda at Murugan Idli Shop. A refreshing drink made of milk, almond resin, ice cream, and flavoured essence. 4. 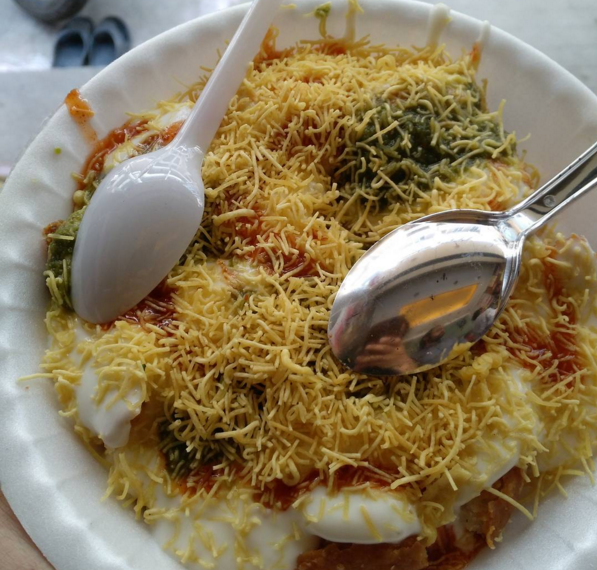 Cheese bullet at Bhojan, Vepery. 5. Ghee podi uttappam at Seena Bhai Tiffin Centre on NSC Bose Road. 6. 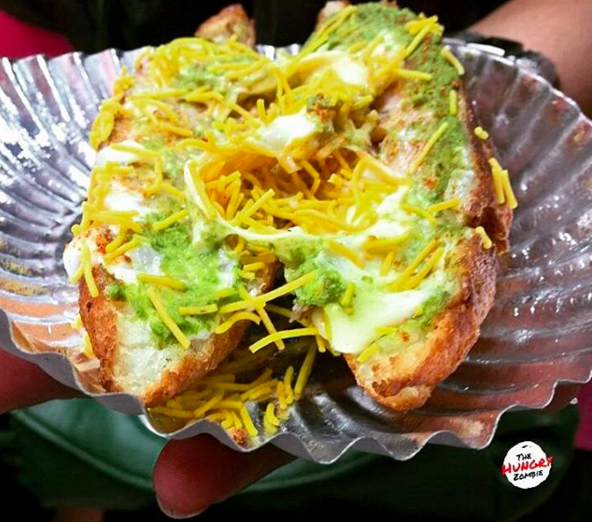 Dahi kachori chaat at Kakada Ramprasad. 7. 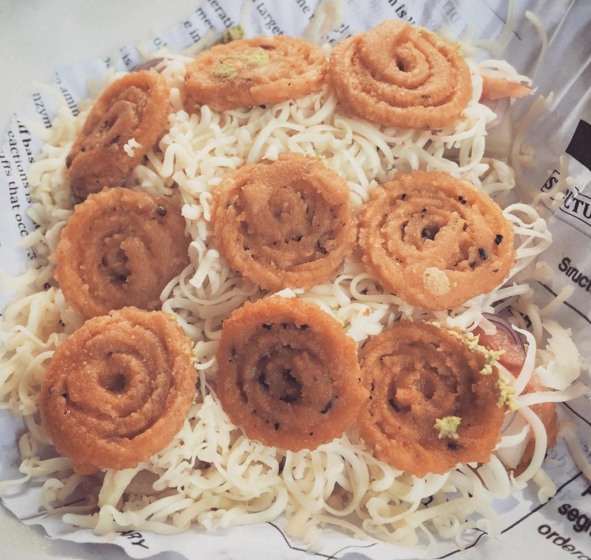 Murukku settu at Salem Thattuvadai Settu Kadai. 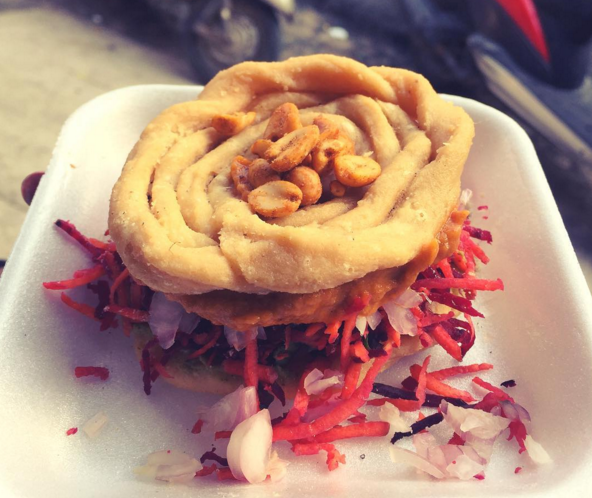 Fresh vegetables and spicy chutney stuffed between two fried murukkus. 8. Atho at Burma Bazaar. 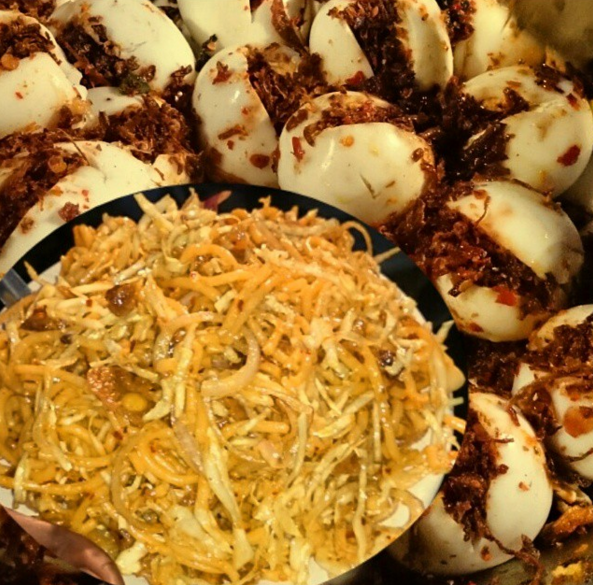 A special Burmese street food made out of noodles and lots of veggies. 9. 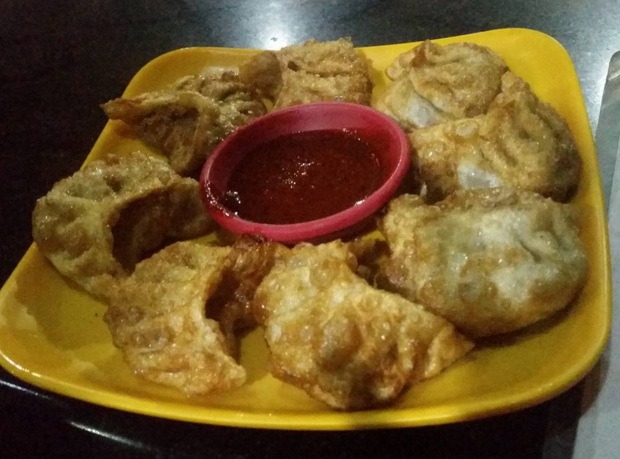 Fried momos from Kailash Kitchen. 10. Cheese murukku sandwich at Brunch in R.K. Saalai. 11. Sundal at Marina Beach. 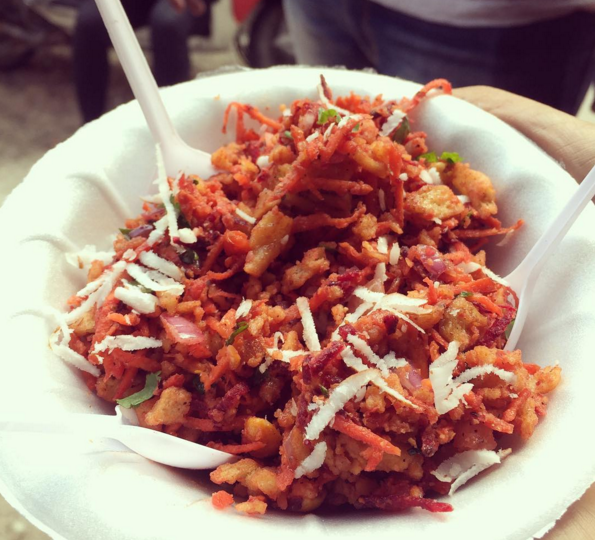 A Navratri speciality made of chickpeas, spices and grated fresh coconut. 12. 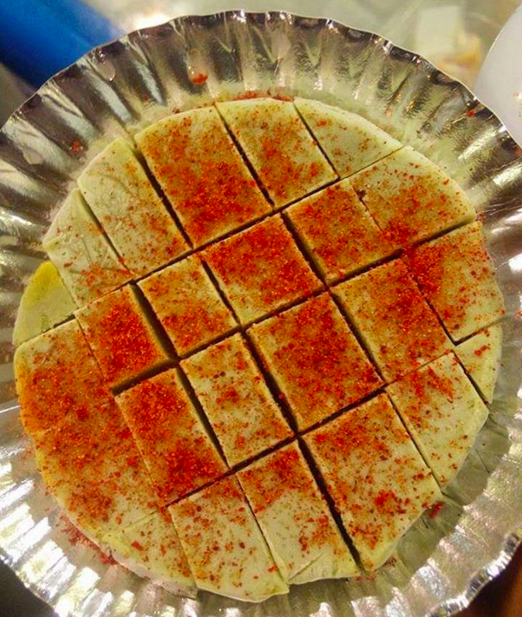 Guava kulfi with salt and chilli powder at Bombay Kulfi. 13. 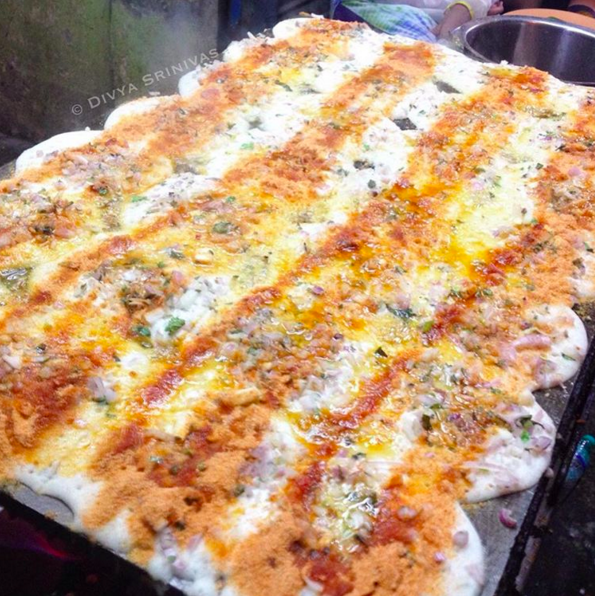 Aloo paratha at Rotiwala in Thiruvanmiyur. 14. 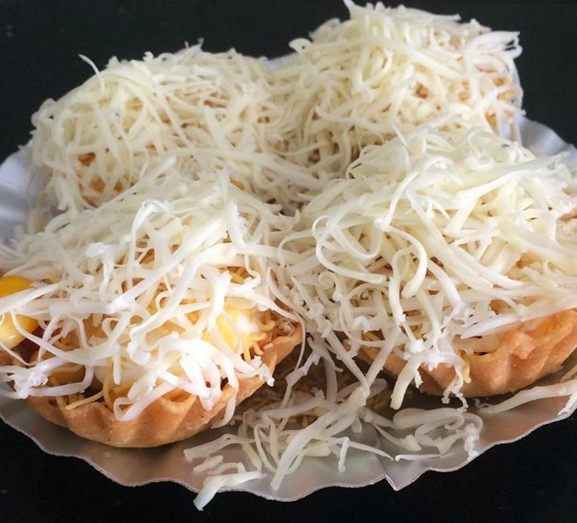 Mani Kozhukattai from Speciality Foods. Tempered, mini rice flour dumplings. 15. Kebabs at Mannady Kabab Centre in Georgetown. 16. Molaga bhajji at Elliot’s beach. 17. Corn & cheese canapés at Link’s, Purasavakkam. Previous article8 Times MS Dhoni Gave Us A Master Class In Life Lessons !! Don’t To Be Missed !! Next articleBUMPER OFFER!! Idea Is Offering Unlimited 4G Data For Just 1 Rupee! Here’s How You Can Apply!